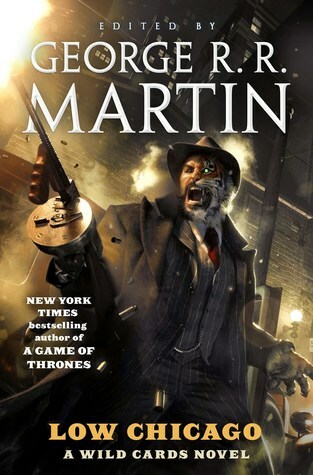 Perfect for current fans and new readers alike, Low Chicago is an all-new time travel adventure that leads to the criminal underworld of 1920s Chicago, featuring a fresh cast of characters from the Wild Cards universe. 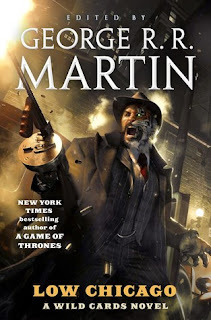 Edited by #1 New York Times bestselling author George R. R. Martin, Low Chicago features the writing talents of Saladin Ahmed, Paul Cornell, Marko Kloos, John Jos. Miller, Mary Anne Mohanraj, Kevin Andrew Murphy, Christopher Rowe, and Melinda M. Snodgrass. Review: Its kinda fun to read a book with many different authors writing about the same thing. It's like fan fiction, but so much better. Each story was unique, with its own take on the same world. Even though I haven't read any of the other books in this series, I was able to jump right in without any problem with the world building. I'm excited to start the series from the beginning.